Kairos Minerals has uncovered two “extensive” new gold nugget patches at its Croydon project, revealing 135 gold nuggets totalling 11.1 ounces of gold. 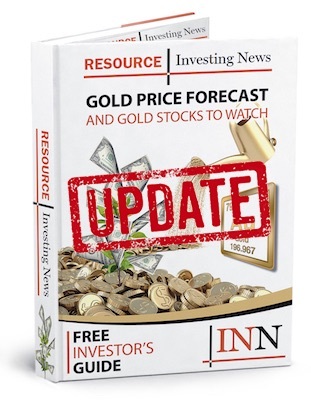 Kairos Minerals (ASX:KAI) has uncovered two “extensive” new gold nugget patches at its Croydon project, located at its Greater Pilbara gold asset in Western Australia. According to a Tuesday (November 20) press release, 135 gold nuggets totaling 11.1 ounces of gold were unearthed from the two new patches. The patches, fittingly referred to as Patch #2 and Patch #3, contain 126 nuggets for 10.8 ounces of gold and nine nuggets for 0.3 ounces of gold, respectively. Patch #2 was found 2.5 kilometers south of Kairos’ first discovery, Patch #1, and is within the same stratigraphic corridor. Patch #2 was discovered during follow-up work on a stream-sediment sampling program completed in September, which saw one particular sample return 20 pieces of gold in the pan at a maximum grade of 0.63 grams per tonne gold. Meanwhile, Patch #3 was found 2 kilometers northwest of Kairos’ first discovery, within sandstone and the deflated conglomerate of the lower Hardey formation. The nuggets range in weight from 0.1 to 19.5 grams and show flattened watermelon shapes, along with rounded and irregular forms. Going forward, the company will work on a new program focused on follow-up observational stream-sediment sampling and metal detecting over the two exploration tenements where the new patches were discovered. The Pilbara region has become a mining hotspot in recent years, with many junior mining companies vying to get in on the action. While the area is predominantly known for commodities like iron ore and natural gas, and dominated by mining giants like BHP (ASX:BHP,NYSE:BHP,LSE:BLT) and Rio Tinto (ASX:RIO,LSE:RIO,NYSE:RIO), gold has also been a trending attraction in the region, which covers over 500,000 square feet. According to John Kaiser of Kaiser Research, juniors like Novo Resources (TSXV:NVO) and Pacton Gold (TSXV:PAC) have been making the most waves lately; Novo on the basis of its high market valuation, and Pacton for its recent land acquisition in the Pilbara’s Egina area. Editorial Disclosure: Pacton Gold is a client of the Investing News Network. This article is not paid-for content.